Sanjeev Sehgal Heads the Asset Services business for Pune Region, India with a facilities and property management portfolio of more than 28 mn sq.ft. in CBRE. Sanjeev is responsible for the co-ordination and implementation of all the components of the Asset Services business line, including property management & facilities management. 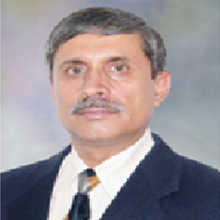 Prior to assuming this role in January 2009, Sanjeev had served in the Corps of Engineers of the Indian Army with over 26 years of intensive experience in operational planning, finance & resource mobilisation; infrastructure development, project management and sustenance support to the armed forces units and establishments. He is a civil engineer and senior management professional with an in-depth experience in operations and maintenance of utilities. He has also been Deputy Dean of the College of Military Engineering, responsible for planning and implementation of military and technical education to Officers and Cadets of the Indian Army. He has done his Bachelors of Technology in Civil Engineering, with honours ; MSc in Defence & Strategic Studies ; and Masters Diploma in Business Administration from SIMS, Pune. LT Col Surender Ahuja, commissioned into 5 SIKH , Infantry in Apr 1966 Changed to Technical Arms Corps Of Signals in Jan 1967. He is BE (Electronics &Telecommunication) from Military College of Telecommunication Engineering Mhow, MP. During the Army Career, has participated in Bangladesh operations as part of Mukti Bahini and was posted at Sector Head Quarter Cooch Bihar. Moved along with Regular Army into Rangpur ,Bangladesh during 1971. 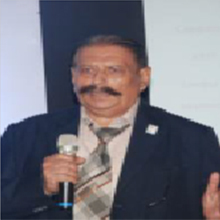 In addition, Officer had the opportunity to be part of Indian Peace Keeping Force and operated from Chennai and Jaffna Town Sri Lanka during 1987 to 1990. Surender Ahuja has received Awards & Recognitions for distinguished Service - Chief of the Army Staff Commendation Card in 1992 and Army Commanders Commendation Card 1994. After completion of 30 years of eventful military career he retired in 1996 from Southern Command. Ganesh is presently working with John Deere India Pvt. Ltd since 2006, He is responsible for Administration and Facilities function. His major responsibilities include Facilities management, General Administration including cafeteria and transportation, Physical and electronic security, Travel function, BCP & DRP, Compliances and EHS, Events and CSR activities. 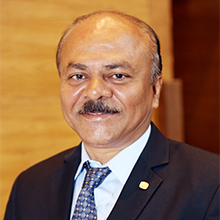 Ganesh has been responsible for capacity footprint for John Deere in India and has completed multi million dollars projects. 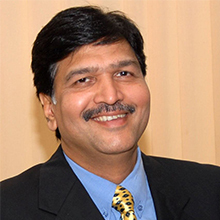 Shri Prasanna Patwardhan is the Chairman & Managing Director of Prasanna Group. He has been instrumental in introducing new activities such as passenger, goods transportation, domestic/international tours & travels and highway restaurants/motels. 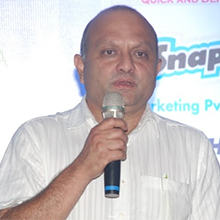 He has consolidated the group activities by taking the annual group turnover from mere 3.0 lacs to 250+ crores. The Prasanna Group can today boast of being one of the biggest transport company of the country which manages a fleet of 1000+ vehicles ranging from Indica cars to Volvo buses and small tempos to multi-axle trucks and provides employment to more than 4000 people. Such exponential growth has been accomplished through his Visionary Business acumen and the respect that he commands within the business fraternity. Prasanna is a science graduate with professional management education. He is also an avid fan of sports and has himself represented in Indian Basket Ball team, was a Skipper of Maharashtra team apart from being a Coach and a Member on the Board of Sports at University and State level. 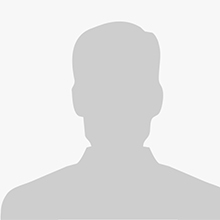 Rajib is Head Administration for Mahindra Sanyo Special Steels Pvt Ltd. 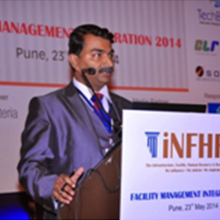 He is responsible for managing Facilities, Security, Travel, Transport, Estate Mgmt, Expat Employee Mgmt (Visa, FRO, RP). He has handled transfer of land, machinery and structures during setting up of JV. He has served 20 + years in the Army, wherein he handled operations, logistics, training and legal. He has participated in numerous conferences, seminars on military related issues, Read a paper on role of local vernacular print media on shaping public opinion, presented an in house software developed to track returnable material leaving the plant to The Mahindra Group. 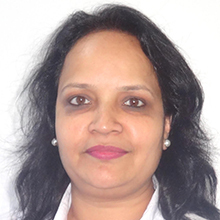 Santosh is a Senior Manager for Facilities & Logistics Management at KPIT Technologies Ltd, Pune. He is a post graduate in business administration from Symbiosis, Pune and has more 21 years of work experience in the field of Facility Management & Administration. 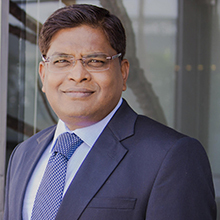 He is also the founder and moderator of “Facilitators@Pune” group which started in 2009 and today has strength of 285 members. This group is guiding and helping all members in our fraternity by providing quick solutions / responses to problems faced by fellow members.